Unless you’ve had problems in the past, you probably take for granted that your kidneys are working as they should. But more than one in 10 adults in the United States has kidney disease, and most people who have it don’t know it. Even more alarmingly, over-the-counter medicines, common prescriptions, and nutritional supplements can have serious effects on kidney function, especially if your kidneys aren’t completely healthy to begin with, says Robert Heyka, MD, Interim Chair of Cleveland Clinic’s Department of Nephrology & Hypertension. Only your doctor can determine whether your kidneys are healthy. However, there are certain other health problems that make a person more likely to have kidney disease. But even if you don’t have any risk factors, a yearly check-up with lab and urine tests is the only way to get a clear picture of your kidney function, says Dr. Heyka. Taking NSAIDS can affect blood flow through the kidneys, and can cause damage, especially if you’re also taking diuretics (“water pills”) or ACE inhibitors. Use of these medications with caffeine can also further harm your kidneys. Also, when taking these medications, be sure to check with your doctor if you have impaired kidney function. Certain antibiotics are removed from the body through the kidneys, so taking them can put extra strain on your renal system. Penicillin, cephalosporins and sulfonamides in particular can be harmful to your kidneys. 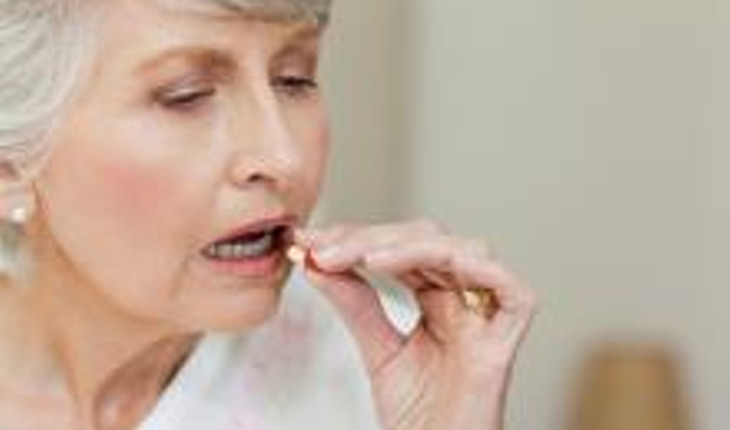 Over time, long-term antibiotic use can injure your kidneys, even if you’re otherwise healthy. And for people whose kidneys aren’t functioning at 100 percent to begin with, antibiotics can build up in the body and cause damage. Certain herbs or nutritional supplements have been associated with kidney injury, even among healthy people. With such a wide variety of supplements available, the best way to get advice about a particular supplement is to ask your doctor to review all the ingredients to be sure it’s safe to use. A review published by researchers at Brigham and Women’s Hospital in April, 2012, cites 17 dietary supplements that have been associated with direct kidney injury, though in a very limited numbers of cases. Of note, researchers found that patients often do not tell their doctors about the dietary supplements they are taking, and this could put them at risk for injury and drug interactions. If you already have diminished kidney function or are at risk for kidney disease, there’s a risk of serious injury if you take dietary supplements – including vitamin doses above the Recommended Daily Allowance (RDA). Most people with kidney disease don’t have any symptoms until they’re very sick. So unless your doctor has tested your kidney function, you can’t know whether you’re safe using ibuprofen for sore muscles, for example. Even slightly higher than normal blood pressure or cholesterol increases your risk for kidney disease, stresses Dr. Heyka. So keep your blood pressure, cholesterol, and weight in check, along with your blood sugar if you are diabetic. And, as always, make sure you tell your doctor about every vitamin, herbal remedy, and nutritional supplement you take. This article originally appeared on HealthHub from Cleveland Clinic.